A loan of $1,025 helped to buy seed and fertilizer, and to pay plowing and reaping fees. Thang is a 36-year-old mother of three kids, who are still in school. 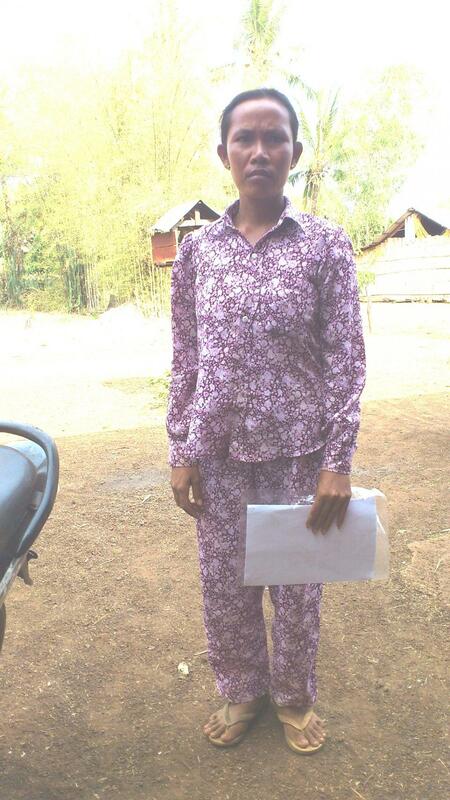 She is a villager from Dambae district, Kampong Cham province. She struggles to make a living, by growing soy beans and cassava. She has been with this business for 16 years. Thang is on her third loan from VisionFund (Kiva’s partner). She has fully repaid her previous loan with success, and has grown her business in a good shape. Now, she is asking for a 4,000,000 KHR loan. She will use it in order to buy seed and fertilizer, and to pay plowing and reaping fees. She hopes that this loan will help her to be ready for the replanting season on time, and get back a high yield from the crops, to better her lifestyle.